[FTC Standard Disclaimer] No compensation was received for this post. Fired up one of the Big Green Eggs tonight to grill these Smoky Mountain Chicken Sandwiches. 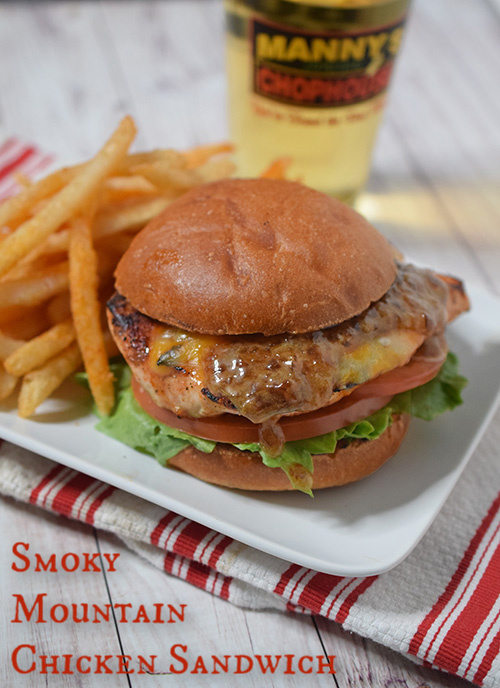 Typically, a Smoky Mountain chicken sandwich or burger is topped with bacon, BBQ sauce, and cheddar. I'm not sure how, when, or where this divine trinity became associated with the name "Smoky Mountain". I have just seen it that way on countless menus. I went in a bit different direction, but I used the same smoky-sweet-cheesy profile for this game day sandwich. My secret ingredients were two local Tennessee products, fitting since they live in the shadows of the Smoky Mountains. Alexis found this rub at Elder's Ace Hardware. 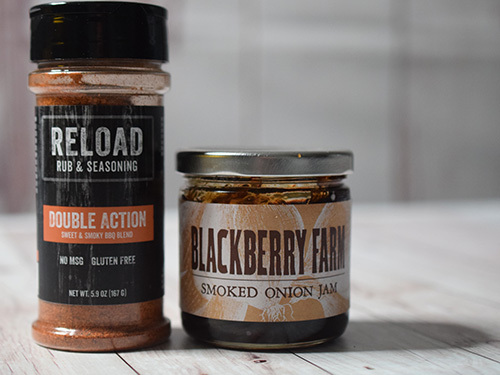 It has a very balanced BBQ rub flavor, featuring things like sea salt, turbinado sugar, powdered molasses, dried onions, dried garlic, and chiles. Yes, THAT Blackberry Farm! This sweet smoky jam is made with sweet onions, smoked onions, cane sugar, and a few other ingredients. The flavor is otherworldly.